The PENDVR-ELE16M-X is a DVR in our Elite series of surveillance equipment. It can handle 16 cameras that are any mix HD-CVI, HD-TVI, AHD or analog technology plus an additional 8 IP cameras ... for a total of 24! This DVR can work with HD-CVI, HD-TVI and AHD cameras up to 5 megapixels and IP cameras up to 6 megapixels. Even though this recorder will work with higher 4 and 5MP resolution HD cameras, recording is at a maximum 1080p resolution. The true recording capabilities are 5M-N at 10fps on the first two channels, and 4M-N/1080P at 15fps or 1080N, 1MP, and 960H at 30fps on the remaining channels. Using cameras with higher resolution means that more data is being used and this recorder uses H.265+/H.265 video compression to offset this increase, as long as you're using cameras that support this feature. 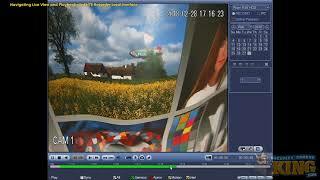 This DVR also supports Intelligent Video System (IVS). This video analytics give this unit the ability to use virtual lines throughout a camera's views to determine the actions taking place and respond accordingly. IVS also allows the DVR to determine if objects have been abandoned or have gone missing. 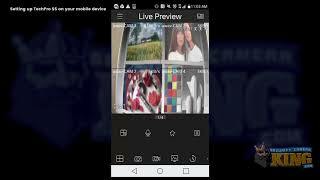 This feature can trigger a buzzer, emails, FTP, PTZ camera action and snapshots. 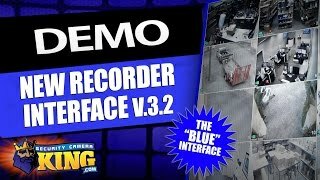 Another feature that this DVR has is face detection, which is used for identification of people and picking them out of a crowd. 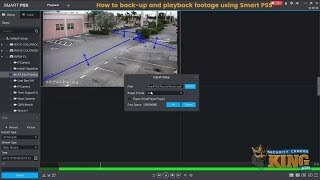 Smart search is another feature which is supported by this recorder and it lets you draw a virtual box in the recorded footage of a camera to determine the actions in this area to make searching through recorded footage easier and faster. 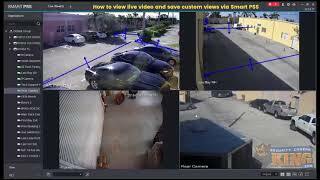 Since there are four different coaxial based camera technologies that are supported by this DVR, it has an auto detect feature that lets it recognize which type of camera is being used. This makes this process much quicker and less complicated than the previous method. In order to make this unit as quiet as possible, it has a smart fan which monitors the processor's temperature and only turns on when necessary. When you purchase this item, you'll get a 2 year warranty. It also comes with free tech support for the life of the device and free mobile viewing software.